ForoHack.COM Mensaje - Acoustic Annoyer V1 - Use annoying frequencies on your windows! 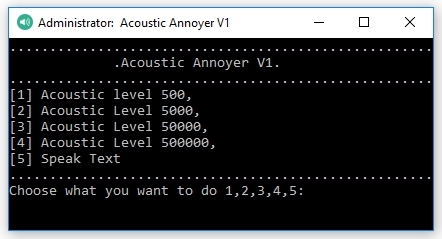 Tema: Acoustic Annoyer V1 - Use annoying frequencies on your windows! Todos Los Foros -> Windows -> Acoustic Annoyer V1 - Use annoying frequencies on your windows!